The Vision Team at Ansonia UMC functions as the administrative council of the church. This team is the body of congregational leaders and representatives who serve as the authority, guide, and arbiter in church direction and decision. Various other groups, teams, and committees within the church may function under their own direction and leadership, but (1) significant decisions, (2) major expenses, and (3) disputes must come before the Vision Team. While the Vision Team empowers, appoints, and enables the various other groups, teams, and committees of the church to function autonomously, ultimately final decisions may rest with the Vision Team. This applies to planned ministries and activities, expenses, and even the very existence of the groups, teams, or committees. Naturally, these only occur in extreme circumstances. The 2016 Book of Discipline of the United Methodist Church; ¶ 252.5 (page 184) provides guidance to membership of the Vision Team. The Vision Team should consist of a minimum of eleven members. 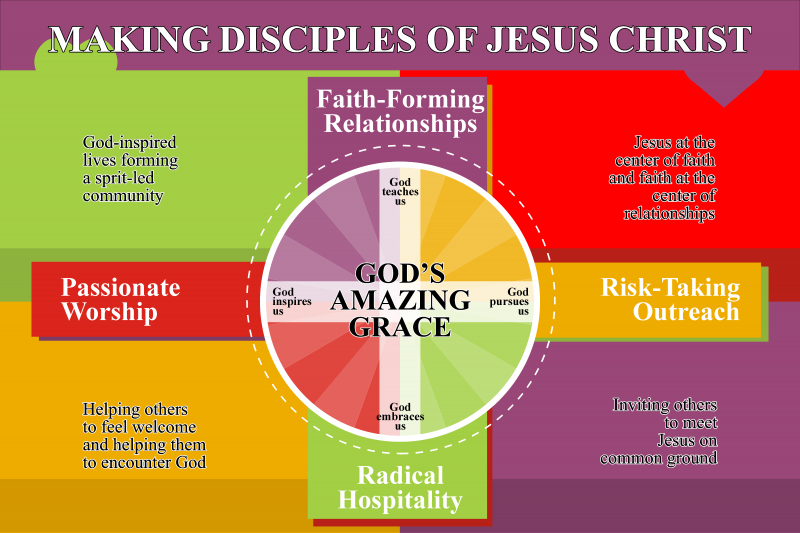 See the 2016 Book of Discipline of the United Methodist Church ¶ 252.4 (pages 183-184) for other responsibilities and authority.